Greens did not back a ban on glyphosate because it was outside the mandate of pesticide special committee, pledging to battle for it at the right time and moment, Greens co-rapporteur on the final report, Bart Staes, explained in an interview with EURACTIV.com. On 16 January, the European Parliament approved by an overwhelming majority a non-binding report calling for a rethink of EU authorisation procedure for pesticides, drafted by centre-right MEP Norbert Lins (EPP) and Green MEP Bart Staes. The list of recommendations was the last act of the special parliamentary committee that was set up last year in the wake of the EU’s controversial decision to re-authorise glyphosate. 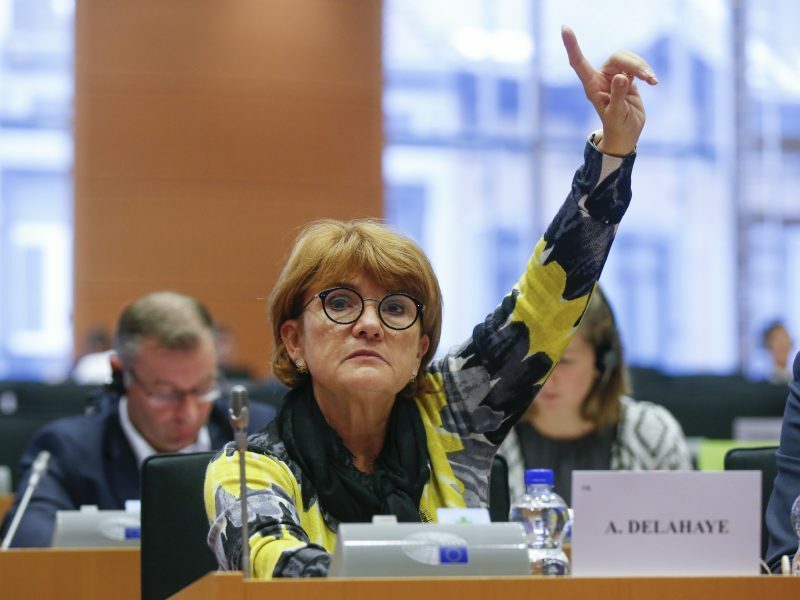 After the vote, the Greens were heavily criticised for making a pact with the centre-right EPP group to block amendments tabled by the other groups, including one tabled by by left-wing GUE/NGL group which called for an immediate EU glyphosate ban. 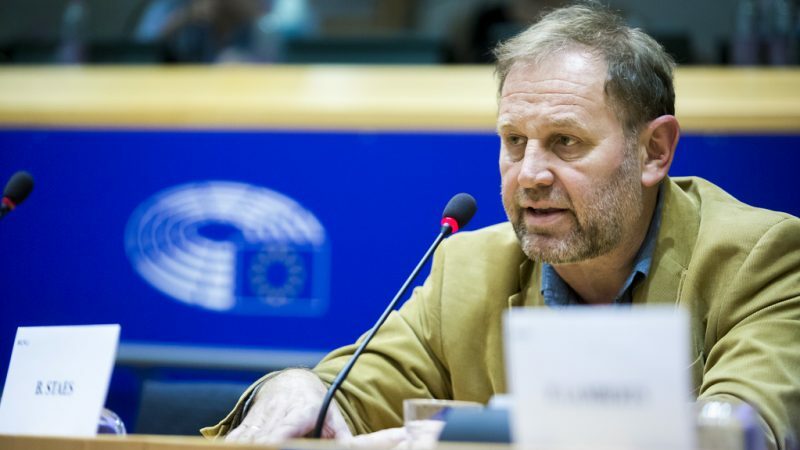 The Belgian MEP and co-rapporteur on the file, Bart Staes, explained the Green’s position in an exclusive interview with EURACTIV. According to Staes, the wish of the committee was to deliver a final report with real recommendations and contents – “no blah blah”, as he said – and with a majority of at least two third in the hemicycle. “The amendment tabled by GUE/NGL that asked for glyphosate ban was in this context, to be honest, out of scope,” he said. 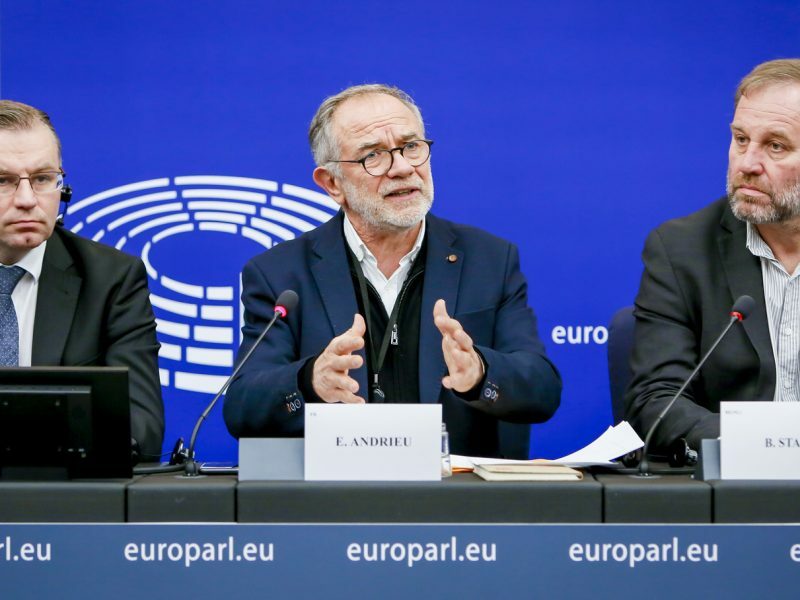 A political agreement between the two co-rapporteurs and their political parties ensured that all the amendments tabled by the conservative (ECR) and leftist (GUE/NGL) groups were defeated, saving the overall approach of the report and 11 months of work. “Let us be clear, as a Green MEP and as the Green group in the European Parliament, we’re in favour of a glyphosate ban and we proved that through our actions in the Parliament in the last four-five years,” he said. He recalled the Greens battle on shortening the time period for the reapproval of glyphosate, as the Commission had initially proposed an authorisation for another 15 years. “We did fight that in the Parliament and we were successful. In the end, it was only authorised for another five years [until 2022], meaning that as early as the end of 2019 the whole process will start again,” he said. When glyphosate authorisation is discussed again, “you will find the Greens and other environmentalists there, in order to have a real debate on the dangers of glyphosate for public health, for animals and for our ecosystems,” said Staes. A European Citizens Initiative on glyphosate, signed by one million eighty thousand people, has called for a ban on glyphosate, with Staes adding that “we will fight for that by the end of this year when the glyphosate taskforce will be probably set”. Asked how working with the EPP was, he said that, although it was not easy due to their divergent views on how to produce foods and the overall agricultural system, cooperation with the co-rapporteur Norbert Lins was good. Greens are more prone to promote agro-ecology, while the EPP’s centre-right MEPs like to describe their party’s approach as “science-based”, meaning that “scientific research is the be-all and end-all,” says Lins. “As Greens, we also have a science-based approach, because it’s about securing that science is objective and independent and transparent from industrial lobbies,” Staes said. “The debate was highly polarised but I think we did a remarkable thing combining different approaches and bring together on the one hand water and on the other hand fire,” he added. The Green MEP highlighted that the two groups always agreed on the need for an evolution of the 2009 regulation on pesticides authorisation rather than a radical overhaul. “How could I go for a revolution if I know that the regulation has been negotiated by a green rapporteur and adopted by the Parliament with a rather large majority at that time?” he said. Staes pointed out that the final report was welcomed by many stakeholders, including industry, NGOs and environmental activists. 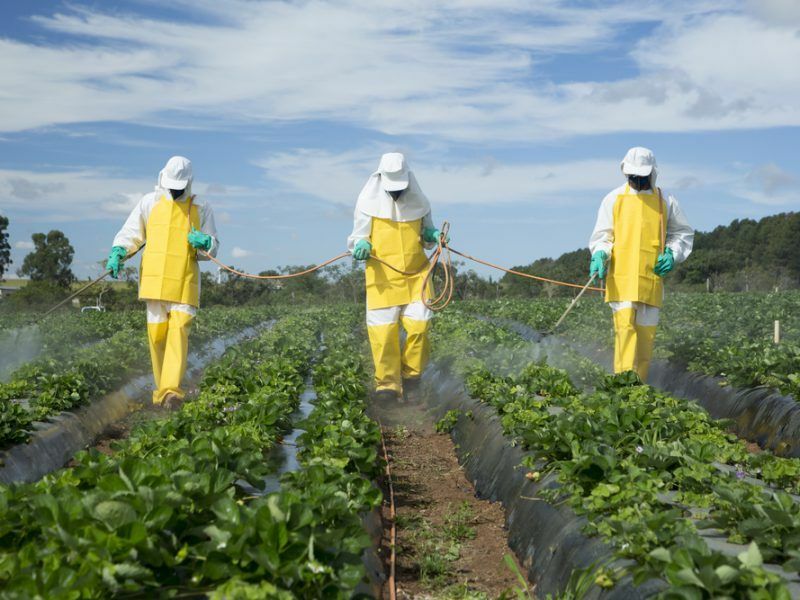 “I had talks with the umbrella organisation of pesticides producers, who considered it a very valuable report even if they don’t like everything in it,” he said. “It was not perfect and to be honest if I would have been the only rapporteur I would have tried to get in other points of view or be more provocative,” he confessed. “But I think the Parliament can be proud of having voted a real blueprint and the starting point for the European Commission to change the pesticides regulation of 2009,” he said. “And if I will be re-elected, I will certainly follow up it and assure that all the recommendations of Parliament are taken into account,” the MEP concluded.